With a full range of ploughs to choose from since it bought the Vogel and Noot plough business, Amazon has begun to introduce new models to its portfolio. The Vogel and Noot purchase dramatically extends Amazone’s plough offering. Following Amazone’s acquisition of Vogel and Noot’s plough business last September, which includes all drawings and designs, a factory in Hungary and a parts business, Amazone now has a large line-up of ploughs to choose from, to add to its portfolio. 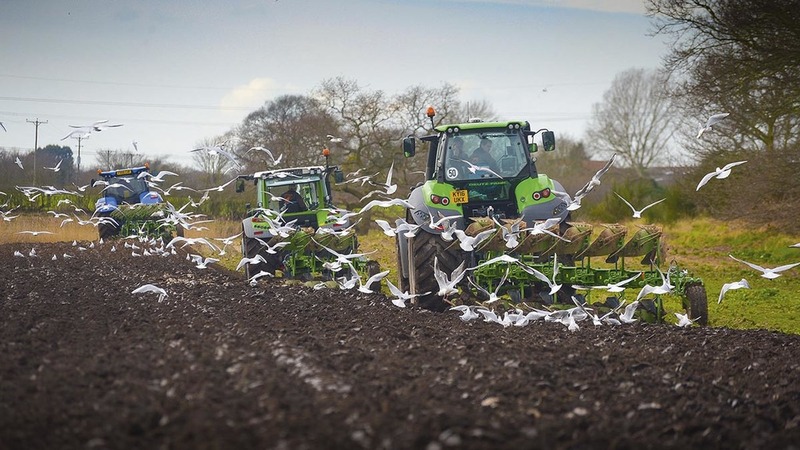 Complementing its own-built Cayron plough range, which includes five and six furrow models, the new Cayros range will extend this to include five model families with three to six furrow models, rated from 70 to 380hp. Later this year, Amazone will add further models to the range including semi-mounted and wagon ploughs up to 14 furrows. To get a taste of the Cayros range, we headed to the fields with three different models of varying spec. Up-front, all Cayros’ feature a cross shaft which can be removed from underneath the headstock, allowing Category 2 and 3 shafts to be switched between. It also means the cross shaft can be independently hooked up to the tractor’s lower links first, then attached to the plough. 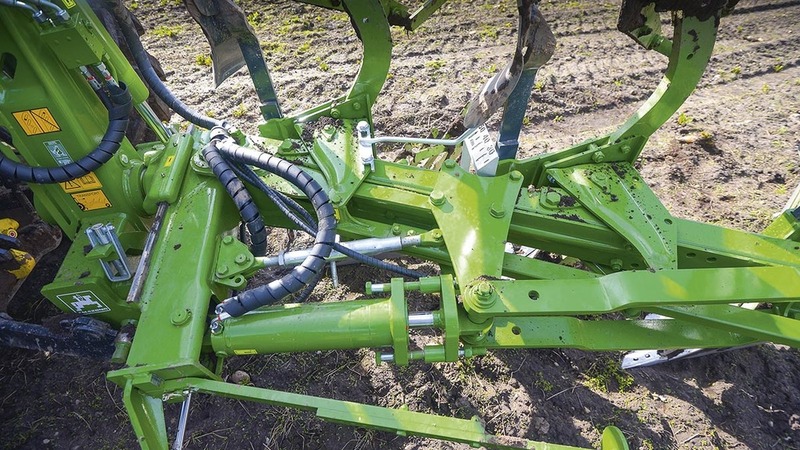 All Cayros ploughs use a sliding carriage design for front furrow width adjustment. This can be specified with hydraulic adjustment, and is the main difference between the Cayros and the Cayron, which uses a parallelogram linkage mechanism. All wingstops are mechanical and screw adjustable. 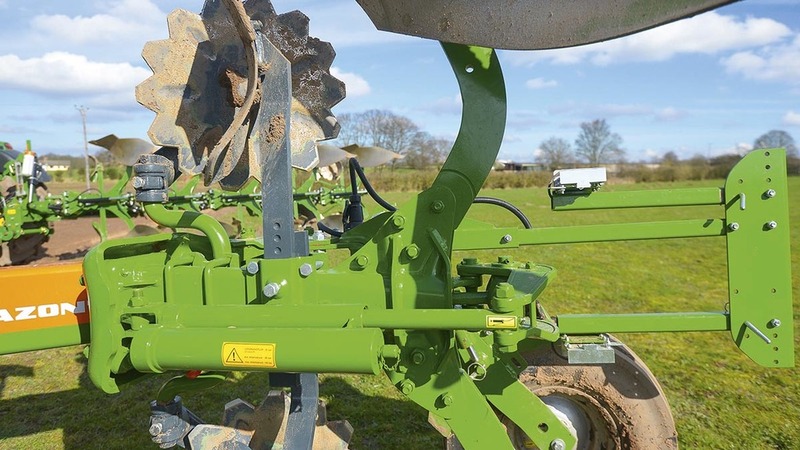 For fixed beam ploughs, an optional ram can be specified which brings the plough into a more central position during turnover, increasing ground clearance towards the rear of the plough. For variable width ploughs, this is done via the width adjustment ram which uses a memory cylinder to return back to working position. Vari-width ploughs can alter their width from 32 to 55cm depending on model. Offering working depth options from 10 to 40cm, nine mould board types are available for the Cayros range of ploughs. 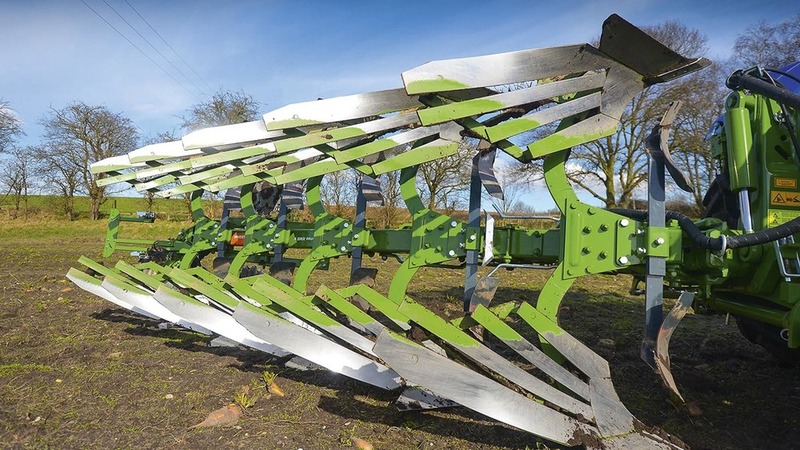 Interestingly, Amazone’s purchase of the Vogel and Noot plough factory now means it has the ability to make its own plough bodies using its patented C-Plus hardening technique. This sees only the wearing side of the mould board hardened, giving it flex and hardness in the right places, it says. Amazone says this method is more effective than a laminate process, which sees both surfaces hardened, or the use of one type of hard steel throughout. Both of which limit flexibility, says the manufacturer. Several skimmer options are also available including a multi-adjustable skimmer which can be adjusted along three axis; up/down, forwards/backwards, and throwing angle. For body protection, the ploughs can be specified with either a centralised or individual hydraulic release system, or a shearbolt version. As suggested, the centralised version sees all body release pressures adjusted at once and evenly, via one of the tractor’s spools. For a more tailored set-up, the individual release system allows different body release pressures to be set. The major benefit, however, is release pressures of each body do not interfere with other bodies if one trips. The downside is set-up, which takes longer. All release options come with shearbolt protection as well. Next Article Scottish independence - Yes or No?